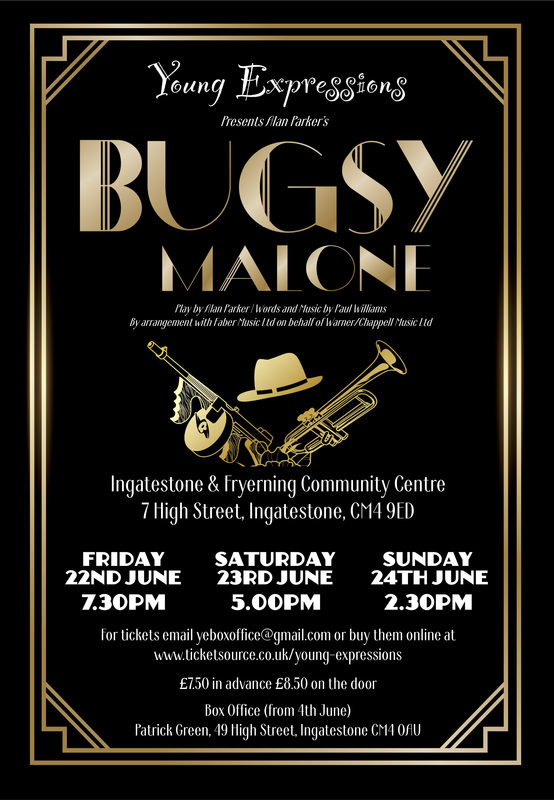 Performed at Ingatestone Village Hall on Friday 22 June 2018 at 7.30pm. I always enjoy coming to see Young Expressions, the enthusiasm of the children and the support given to them by the army of parents and helpers is such a pleasure to see. 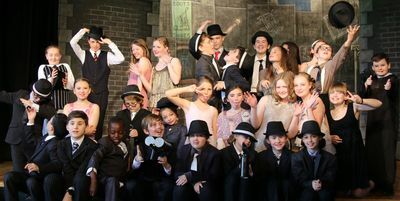 It is also lovely to see the young people develop over the years and, having watched Young Expressions shows for four years, the ones who were just starting out, then, have developed into strong performers. Their example to the younger, newer, members is also good to see. Bugsy is a lovely show for young people to do. Written, as it was, for this age group it provides them with plenty of opportunities for small speaking parts for the newer members to get to grips with. This production had a seasoned team of Principals, all of whom produced excellent characterisations. 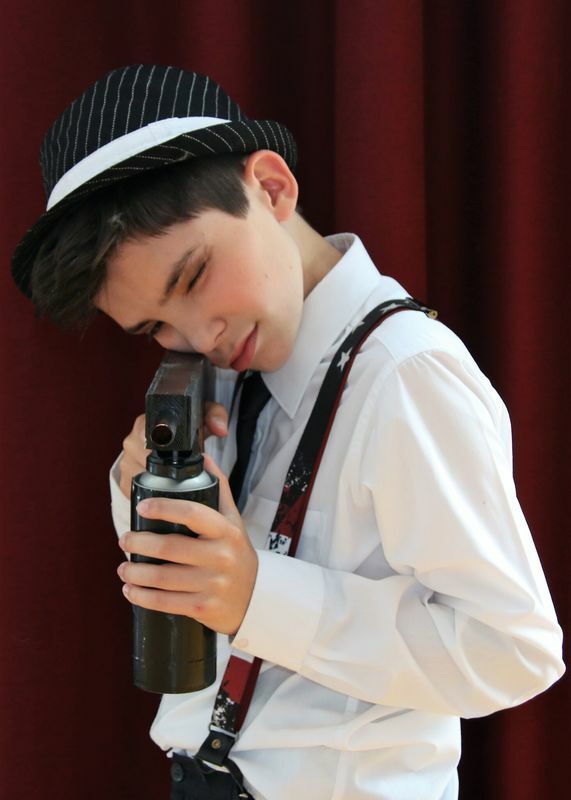 James Ravenscroft played Bugsy, an assured performance from a young man who has improved and developed every time I see him. Rose Whitwam played Blousey Brown, definitely, the better female part to play. She has a lovely singing voice which has also improved and developed well over the past few years. George Knight played Fat Sam well. Although he has a tendency to speak a little fast, it was perfectly understandable, and his characterisation was excellent. 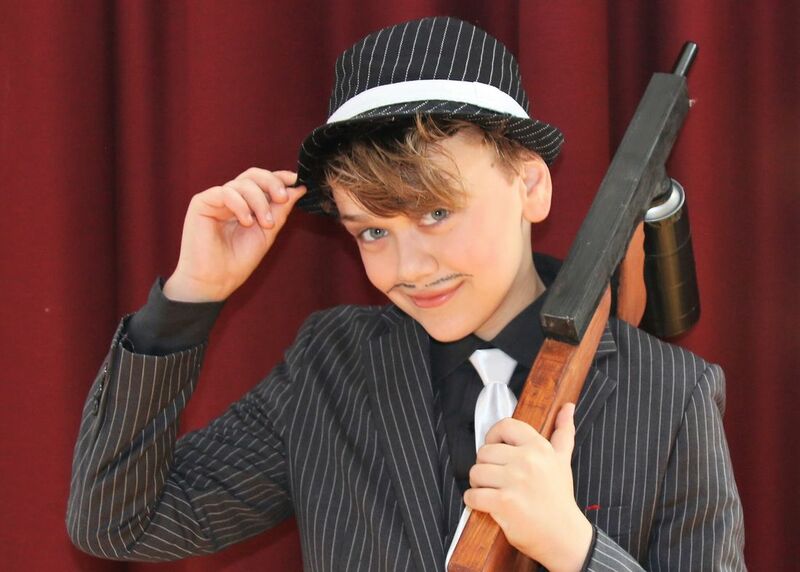 Jorji Mersey played Dandy Dan very well, he shows a lot of talent and has a very expressive face which serves him well on stage. 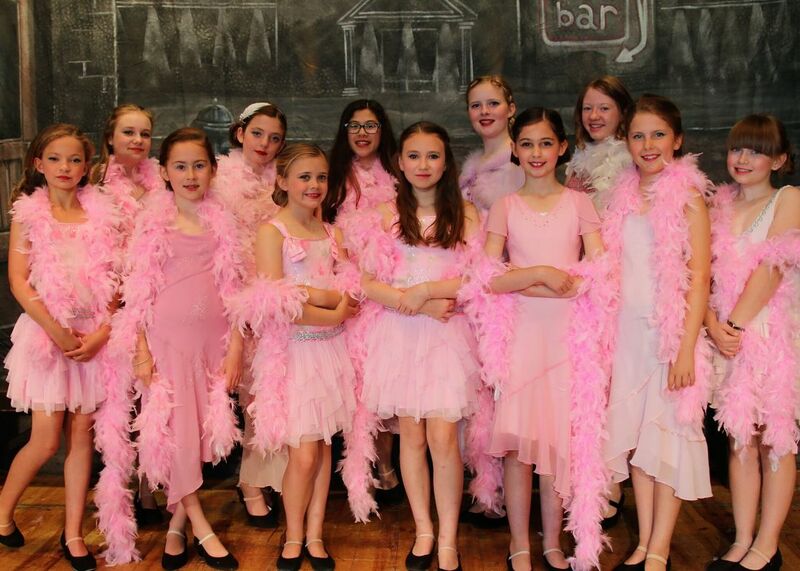 The Principal line-up was completed by Ella Fowle playing Tallulah with plenty of style, we just needed her to project a little more so we could hear her singing! A lot of the cast played 2 or even 3 parts and the costumes seemed to be constantly changing so it must have been a bit hectic back stage. 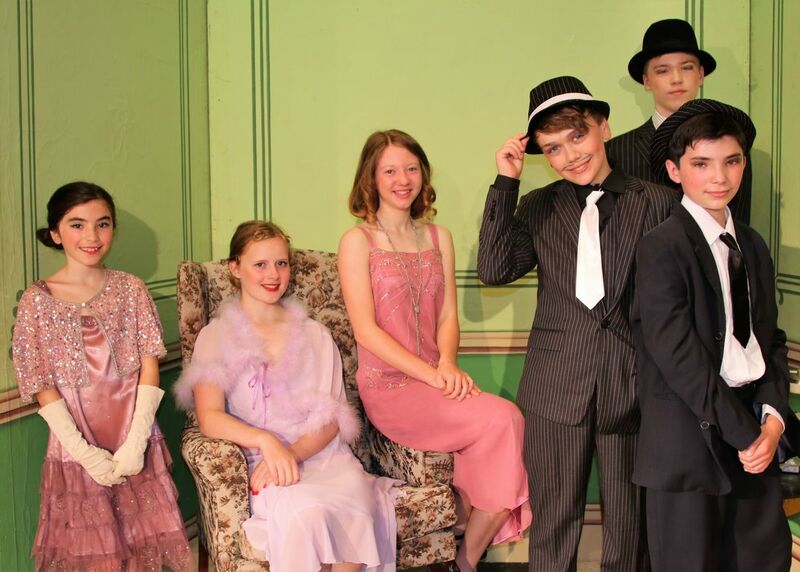 However, that did not come through out front so well done to the cast and the chaperones for keeping it going. The scenery was simple, and the crew made the changes quickly, well done for keeping the ‘splurge’ under control. 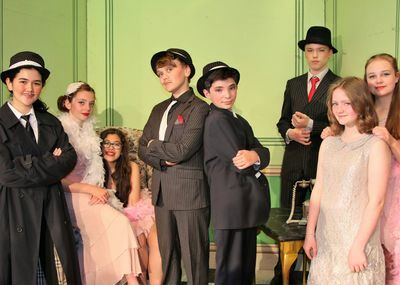 It is often a worry with this show because the cast like to go to town with the splurge guns and custard pies, leaving a mopping up job that has to be done even as the show progresses! It is a big cast for a relatively small stage and dressing rooms facilities, but I am sure that the cast had a whale of a time doing this show. I almost wanted to be up there throwing a custard pie with them! 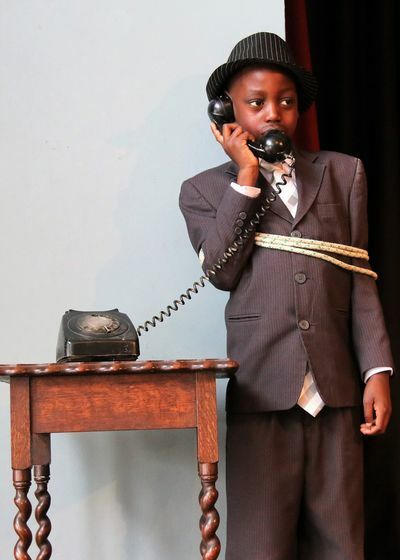 Young Expressions continue to provide excellent performance opportunities for the young people of the area and long may this continue. I look forward to the next show, and the one after that and the one after that!